- Thermal insulation of instrument process lines and heating systems. All local pressure gauges shall be bourdon/diaphragm type of material SS316/ SS304. Superior materials will be considered only if process condition demands. Pulsation dampner shall be used wherever pulsating pressure occurs in process. For temperature greater than 700C, necessary precautions will be considered like use of siphon in steam services. Diaphragm seals type will be considered for viscous slurry services including fluids tending to crystalise. Dial size for local gauges will be 100 mm. All pressure gauges shall be equipped with safety vent consisting of rubber grommet at the back of housing. Transmitters are used to transfer a pressure measuring value to the central control room. Material selection and selection of diaphragm/remote seal transmitters shall be on the same guidelines mentioned under local gauges. In capillary type trans-mitters, capillary length shall normally be 3 meters. Also capillary shall be armoured and material of both capillary and armour shall be SS316. Transmitters shall be selected with integral output meter. Pressure switches shall be used for alarm/interlock purposes as required by process. Set value of switches to be between 30 % to 80 % of range. Snap acting microswitches shall be normally used. Material and sensor selection shall be on the same guidelines mentioned under local pressure gauges. Local level indication with metallic instruments with magnetic coupling of follower magnets is generally preferred. Gauge glasses shall be provided where process requirements ask for accurate local level indication independent of density fluctuations. They may be provided in. addition to level transmitters which do not cover the full range of level change in a vessel. Maximum length of each gauge instrument shall be limited to about 1500 mm. If greater distance is to be covered, several instruments shall be considered with minimum overlapping of about 50 mm. Level gauge instruments shall generally be flanged to the equipment. Body rat-ing shall be selected as per rating of the vessel. Necessary vents and drains have to be provided. - anti-frost protection where the temperature of the liquid is below 00C. Level transmitters shall be generally electronic type with local indication. Displacer type transmitters shall be selected for condensation, evaporation services, interface level measurement and hazardous fluid services. Displacer material shall be minimum SS 316, torquetube material shall be of Inconel. Su-perior materials shall be selected if process demands the same. Internal displacer shall be considered normally forburied/underground vessel level measurements. Otherwise, all displacers shall be external chamber type. Chamber material shall be according to fluids or vessel specification. Normally only standard displacer length as listed below shall be selected. Centre to centre distance of connecting float chamber shall be same as diplacer length. Vents/drains shall be considered wherever required. Cooling fins/ isolators shall be considered, wherever required, based on manufacturer’s recommendation. For large measuring span, OP transmitters will be used. When remote seal transmitters are selected, capillary will be generally armoured and material for both capillary and armour shall be SS316. Flanged transmitters flush or extended diaphragm shall be considered in case of slurry services or fluids tending to crystallise. Capacitance type level measurements can also be selected as an alternative method wherever required for highly viscous fluids or bulk materials. Non-contact type like ultrasonic or radioactive method shall be considered where no other suitable measurement mentioned above is possible or feasible. Purge type level measurement shall be restricted to the extent possible. For shut down services separate level switches shall be provided. External float type level switches shall be selected where choking of the liquid cannot occur. Standard nozzle to nozzle distance shall be 350 mm. Capacitive level sensors shall be considered for pits or corrosive services where float type cannot be used. These instruments shall be mounted directly inside the vessel. Tanks containing liquids which may pollute the environment in case of overflow shall be provided with separate level switch against overfilling. It has to be checked with the authorities whether a special certified measuring system or instrument has to be used. Vibration fork type level switches shall be used for solid service. Thermowell shall be used for all temperature measurement except tube surface (skin) temperature measurement and motor winding temperature. Thermowell material shall be SS 316 unless material of special quality is called for accord-ing to process condition. Thermowell shall normally have 1 1/2 “ flanged connection. They shall be fabricated out of barstock up to a length of 500 mm. Beyond 500 mm, welded construction may be used. Basically Uhde Norms shall be followed for deciding thermowell length. For thermowell installation in pipe lines minimum pipe diameter has to be 3". Smaller pipe lines have to be enlarged to 3" for thermowell installation. Local gauges shall be bimetallic or expansion thermometer with liquid/gas. Dial size of 100 mm shall be considered for local gauges. Capillary shall be armoured type with minimum length of 5 meters. For remote temperature indication/control at less than 4000C RTD element (PT-100/3 wire system) shall be used. Normally mineral insulated type of RTD with SS 316 sheath material shall be used. RTD construction shall be designed to protect against vibrations. RTD calibration shall be as per DIN IEC 751/10,85. The length of the sensor shall be in accordance to DIN 43762. Temperature transmitters shall be used for temperature control loops and measurements connected with shutdown signals (switching functions). Temperature transmitters “hall be Integrated In thermometer heads suitable for field mounting. They should be 2-wlre type transmitters and have to be either of explosion proof design or to be connected to control room systems via an isolating amplifier/ex-barrier. For temperature measurements above 4000C thermocouple shall be used. Thermocouple of type K shall be considered in accordance with ANSI MC 96.1. Thermocouple shall be mineral insulated type with a sheath of stainless steel or superior material, if required. Hot junction shall be welded and insulated ungrounded. Generally, thermocouple extension wire shall be used for interconnection. Wire size AWG 16 gauge shall be used (or extension wire. Colour coding and EMF error limitations of extension wires shall be generally as per ISA recommendations. Orifice plates shall be with flange taps only for lines 2" and above. For lower size, integral orifice plates shall be used. Orifice plate sizing shall be done as per ISA Flow Well or flow measurement, engineering by LK Spink. Sizing shall be done at maximum expected flow rate plus 10 % flow rate as margin. Orifice plate shall be generally square edge type. For high viscosity services quadrant edge type shall be preferred. Orifice plate material shall be SS 316 unless process condition calls for special material. Upstream/Downstream straight length shall be as per ISA standards. DP-Transmitter shall generally be used with orifice plate. Every effort shall be made in design, so that the differential pressure does not exceed 2500 mm (100") we. Only in exceptional cases, a deviation is allowed. Transmitter shall be furnished with local indication. Transmitter impulse lines shall have a minimum slope of 1 0%. Rotameter with transmitter shall be normaliy selected (or line size less than 2. Wherever transml1ter is required, same shall be with local indicator. Rotameter shall be normally metal type (or process fluids, material shall be se-lected according to process requirements and fluids. In such cases magnetic transmission shall be used. Glass measuring tubes shall only be used (or non-critical services like purge application. Normal flow rate shall be between 60 % and 80 % of flow capacity selected. Rotameter shall have flange connections. Ratings shall be as per piping specifications. Magnetic flowmeter shall be used for severe fluids or slurry services or where orifice plates are not suitable. DC-version with pulse controlled magnetic field shall be preferred to AC version. Installation and sizing shall be generally based on manufacturer recommendation. Vortex meters shall be selected based on process requirements and where high accuracy is required. Vortex meters shall normally be flanged as per piping specifications. For high accuracy flow measurements turbine flow meter shall be used. Neces-sary straight length requirement and. installation shall be considered as per manufacturer’s recommendation along with other accessories like strainer etc. This type of meter shall be chosen normally for balance measurement services and high viscous fluid services. Necessary straight length requirements shall be considered as per manufacturer’s recommendations, along with accessories like strainer, etc. For very accurate flow measurement of liquids mass flow meters working on Coriolis force principle may be used. In very large diameter pipe or duct for clear gas service and in low pressure application the annubar sensor can be selected as primary flow element. For low flow applications, integral orifice transmitter shall be used. Restriction orifices will be used to limit flow (without indication). The calculation shall be similar to orifice plate calculation. No champhering is required at the outlet edge of the orifice. Globe Valves shall be selected for standard application. Butterfly Valves shall be selected for large size pressure lines, for reasons of economy and low pressure drop. For size 6" and above butterfly type shall be preferred. Angle control valves mounted in pipes shall be selected for high differential pressure, for viscous liquids and fluids which may tend to deposit or crystallise. Rotary plug valves are recommended for viscous liquids and fluids which may tend to deposit or crystallise. They are also recommended for hazardous fluids as sealing of a rotating shaft is better than of an ordinary globe valve stem. Ball valves and plug valves shall be considered if required by process (quick closing or opening services). Special valves may be considered for high noise services. high corrosion and erosion services, etc. For instance, chlorine control valves’ require inside cladding with PTFE. Control valve design “pressure drop shall be at least one third of total system dynamic pressure drop to the extent possible. Valve sizing shall be done to pass the design flow rate of normal operation condition with the valve opening of 60 % to 80 %. But at the same time, valve shall be capable of handling. 10 % more flow rate than the maximum flow rate expected. It has also to be checked whether maximum and minimum flow rate are within the limits of 90 % and 5 % of Cvs value or not. If the process requires a Cv value of more than 90% and /or less than 5% of the CV5 value, two valves shall be considered in parallel. For flashing service or two phase service exist-ing at the inlet, Cv values of both phases shall be calculated separately and added. ANSI B 16.104 control valve leakage standard shall be generally followed in specification of control valves. Leakage Class I to Class VI will be used as per process requirement. All single seated globe valves shall have minimum leakage Class IV, in general. For all special valves, if any used. leakage class shall be generally as per manufacturer’s standard. Valves on slurry lines, where the possibility of blocking is given, shall be full bore ball valves, or rotary plug valves. Butterfly valves shall be sized for a maximum flow rate at 60 degrees angular opening except for characterised vane valves (such as the fish tail) which may be sized at 900 opening. Normally control valve noise level shall not exceed 80 db(A) measured at a distance of one metre from source. If the noise level exceeds 80 db(A). anyone of the following methods shall be adopted. to limit the noise level. Block and bypass valves shall be considered wherever required as per process requirement. Handwheel may be considered where no bypasses are used and as per process requirement. Necessity of provision of handwheel operation on control valve shall be generally decided by process requirement. If for any reasons, single port valve is selected for high differential pressure service, it shall be top and bottom guided type only. Generally seat rings shall be of replaceable type. All control valves on steam services shall be with IBR approval for pressures greater than 3.0 kg/cm2(g). Steam jacket heating shall be considered on body of control valves handling fluids, which tend to crystallise. Stem, plug and seat material shall be minimum SS 316 for any pressure drop up to 8.0 kg/cm2. For higher pressure drops, hardened chromium steel or stainless steel shall be preferred. Superior materials shall be used where erosive or corrosive conditions are expected. The size of valve body shall be selected as per calculated Cvs-value for pipe dias above 1". For these pipes the adaption of valve body size to pipe has to be done by reducers. The minimum valve body size shall be 1". Valve size of 1/2" shall be used only in 1/2" dia pipes. Temperature/pressure ratings of body and flanges shall be generally as per piping specifications. Wherever control valve body/connection flanges are considered as stainless steel, it shall generaily be of material SS 304/316. Valve size of 11/4",2 1/2",3 1/2",4 1/2", S”, 7" shall be generally avoided. Teflon shall be used as stuffing box packing materials as minimum requirement. Other types of packing materials shall be generally as per process requirement and recommendation of manufacturer. Whenever required by packing material, lubricator and isolating valve shall be provided for the packing. Valves used for fluids of temperature below 00C shall be provided with exten-sion bonnet. For fluid service temperature greater than 2000C extension bonnet/radiating fins shall be provided. Special requirement like bellow seals for hazardous fluids may be considered as per process requirement. Actuators shall be normally single action (Spring apposed) pneumatic diaphragm operated type. Actuators are to be designed to withstand maximum shut-offdifferential pressure existing across the valve during operation, as well as to overcome frictional forces. Actuators shall be also designed to operate with 4.0 kg/cm2 (g) instrument air pressure available in plant. Single action piston actuators shall be also considered (especially for larger stroke) wherever required based on process guidelines. In some parts of the PVC plants plug valve with double action piston actuators will be recommended for quick closing and opening. For these actuators buffer vessels shall be provided for achieving the “shut-down” position. Motorised actuators shall be generally considered only for on/off-valves without any fail-safe conditions as per process requirements and also where pneumatic actuators cannot deliver required thrust. Field mounted current to pneumatic converters shall be used to convert controller/manual loader output signal of 4-20 mA (through necessary safety barriers wherever required) to 0.2 to 1.0 kg/cm2 (g) pneumatic signal for control valve positioner. All’ control valves shall be considered with pneumatic positioner with two gauges for input and output indications and one air filter reg-ulator with output gauge mounted and tubed. For special cases, volume boost-ers shall be considered for control valve positioners. to get fast operation as per process requirement. All pneumatic on/off-valves shall be provided with solenoid valves and limit switches. For limit switches proximity types are recommended instead of electromechanical types because of their insensibility against chemical atmosphere and dust. 3-way solenoid valves shall be generally selected for single action pneumatic actuators. Solenoid valves should be of direct acting type with minimum electrical power consumption. If necessary airflow for quick closing/opening cannot be achieved by the solenoid valve, additional pneumatic pilot valves should be used. For double acting piston actuators 5/2-way valves have to be used. Requirement of solenoid valves and limit switches for other control valves shall be based on process requirement. Explosion proof versions of solenoid valves must be used for hazardous area application. Position transmitter shall be considered based on process requirements. Such transmitter shall be generally electronic 2 wire type only. Self acting control valves shall be selected in secondary local control circuits, preferably in utility services. Valves material, connection, pressure and temperature ratings shall be generally as per piping specifications. Impulse lines for instruments shall be SS 316 material, 1/2" 00 tubing according to ASTM A 269. All fittings to be used for tubing shall be also SS 316 com-pression type of standard make. a. For 4-20 mA current signal, 1-5 V DC voltage signal and 24 V DC interro-gation alarm and interlock signals etc.. twisted pair screened cables shall be used. Multipair cables shall be considered from control room up to junction boxes. Multipair cable shall have only overall screening. Individual pair screening in multipair shall not be considered. Required parameters for intrinsic safe signal handling shall be considered, wherever applicable, according to Indian Standards or British Standards. b. For thermocouple signals, thermocouple extension wire shall be used as mentioned in “Temperature Measurement”. Normally twisted screened single pair shall be used from sensing element to junction box. Multipair cables with overall screen shall be used from control room to junction boxes. In such multi pair cables, individual pair screening shall not be considered. c. For signals of voltage level ≥ 24 V, 1.5 sq.mm and 2.5 Sq.mm bare copper conductor control cabies as per Indian Standards shall be used. Selection of multicore control cables shall be part of detail engineering. If requested by manufacturers, special control cables shall be used (for Instance for radioactive level transmitters). For pneumatic signal transmission, PVC coated 1/4" OD copper tubes shall be used. Stainless steel fittings shall be used for connections. 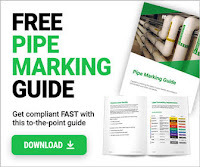 This specification and the sketches accompanying it cover the general requirements of instrumentation tapping point to be followed by piping group (PI) and equipment design group (MQ). In case there are any deviations from these the same shall be intimated by Instrument group to MQ and PI. Otherwise these requirements shall be strictly adhered to. a. The pressure rating and material of all flanges, blind/reducing flanges, valves. etc. shall be as per piping class applicable. b. Unless otherwise indicated specifically I all nuts, bolts, gaskets, etc. shall be procured by Piping group and the materials will be as per piping class. c. As regards straight piping requirements for various flow instruments shown in the sketches, the same are based on 90 % of cases commonly encountered. These are dependent on various factors such as no. of elbows, valves, etc. upstream of the instrument. Case by case study shall be made by instrument group, and any deviation will be intimated to piping. d. For all rotameters and rotameter transmitters direction of flow shall befrom bottom to top only and line should be vertical with a deviation of + 10C. The Brooks “Clean-in-Place” (C. loP) is used in the food and beverage industry for measuring various types of syrups and raw materials. Since. the Brooks-Oval Flowmeter is virtually pocketless, it can be ‘used in most food applications where steam cleaning is performed at the end of each day. I t is not a Type 3 FDA approved or certified milk meter. The most common final products metered are soft drinks, candy bars, and cereal. These meters can be supplied with either Selective Proximity (SIP) pick. off or Large Dial Register. The flow ranges are identical to the standard 9400 series meters. Figure - Tri-clamp - Registered Trademark TRI- Clover Division, Ladish Co. I would like to ask a question. If the reactor require pressure, temperature and flow control at the same time, how wound the arrangement of PI,PT,PC, TE,TI,FT,FC and analyzer element be like?